Home News AFTER 21, TDP WAS READY TO BREAK THE ALLIANCE WITH THE BJP. AFTER 21, TDP WAS READY TO BREAK THE ALLIANCE WITH THE BJP. Chandrababu prepared to break the alliance with the BJP. He made great comments on the BJP. Talking to the Telugu Desam Party leaders, Babu said that the TDP would not have a single benefit to that BJP party. 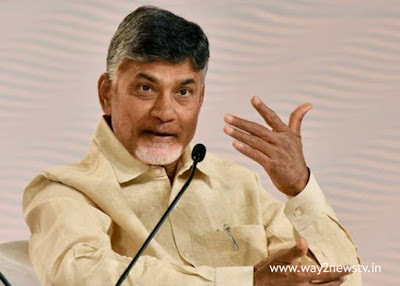 Chandrababu recalled the fact that TDP won the election in the local bodies ahead of the 2014 election. The number of votes in the local bodies election was unanimously announced after the alliance in the 2014 General Elections. That is why there is no bigger odds for the alliance with the BJP. So no one is afraid to work, but in the next election, the victory of the TDP is the dream of Chandrababu Babu expressed. The BJP, TDP alliance reached the climax stage.Any time official announcement is likely to come from TDP. The TDP from the Union Cabinet has already been criticized for continuing in the NDA. However, Chandrababu has been receiving views from the leaders in various stages. On 21st of this month, the YCP will be introduced in Parliament. At the same time, the absence of antitrust decision of the YCP should be supported. TDP is not ready to support the YCP's infidelity. That's why TDP is still in the NDA. The NDA's party can be avoided by saying that it is not a matter of supporting disbelief. This means that the TDP will be exempted from the NDA on 21st of this month.